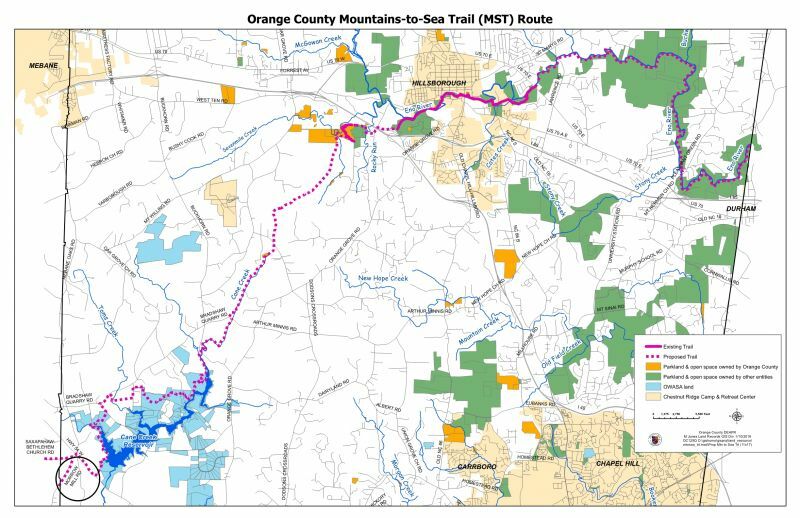 Friends of the Mountains-to-Sea Trail has signed an agreement to assist Orange County’s efforts to build and maintain the MST in that county. 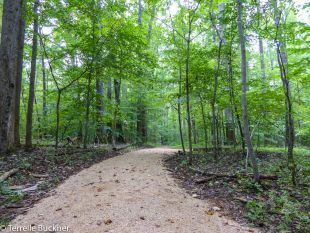 Based on the agreement Friends will support the county in such areas as planning, public outreach, landowner contacts, trail building and signage, and funding. When finished the MST in Orange County will be approximately 35 miles long. Currently the MST road route goes from Mebane in Alamance County to Hillsborough where the trail picks up the Riverwalk along the Eno River. The Commissioners have approved a new route from Saxapahaw on the Haw River through rural southwest Orange County and around the Cane Creek Reservoir connecting to Hillsborough. From there the route will follow the Eno River through the Eno River State Park. The county has indicated that initially it wants to focus on connecting the Occoneechee Mountain State Natural Area to the Seven Mile Creek Preserve. Dixon said Friends’ volunteers made the difference in building support for the agreement. Volunteer leaders included Terri Buckner, Greg Smith, Allan Green, Bill Boyarsky, Carl Shy, Glen Greenstreet, Ed Johnson, Karen Bley, Luther Livermon and Scott Zimmerman. 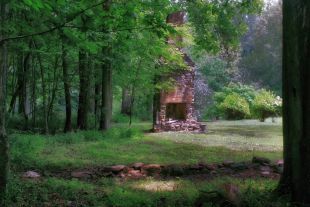 Photo 2: Chimney at Thompson’s Mill, Orange County, by Bob Johnson.